Collins Booksellers - Clinical Pathways in Neuro-Ophthalmology by Stacy V. Smith, Andrew G. Lee & Paul W. Brazis, 9781626232860. Buy this book online. It is paramount for clinicians to understand the distinguishing signs and symptoms among many different local and systemic neuro-ophthalmic disorders in order to provide the most efficacious evaluations and treatments. Clinical Pathways in Neuro-Ophthalmology: An Evidence-Based Approach, Third Edition reflects the authors' extensive training and experience in the field of neuro-ophthalmology, as well as updates in the field. 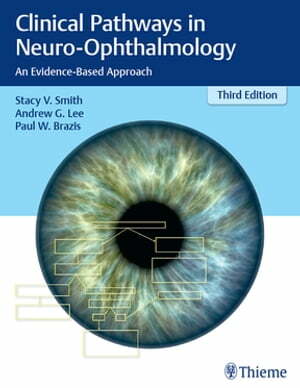 Stacy Smith, Andrew Lee, Paul Brazis, and an impressive group of contributors have written an unsurpassed learning tool on how to manage patients with known or presumed neuro-ophthalmologic conditions, in the most logical, straightforward, and cost-effective manner. The authors share significant clinical pearls and knowledge throughout 20 chapters. The book lays a solid foundation on the management of neurologic eye disorders including symptoms, ophthalmologic testing, diagnosis, and treatment. Among the discussed disorders are anterior and retrobulbar optic neuropathies, disorders of ocular motility and alignment, lid abnormalities, and anisocoria. Insights are provided on key topics including the use of office examinations, laboratory tests, and neuroimaging studies to make an ophthalmologic diagnosis; and ophthalmologic therapy to treat eye movement disorders such as nystagmus. This book is essential reading for neuro-ophthalmologists, ophthalmologists, neurologists, and residents and fellows in these fields of medicine.